Dubai, Dec 16 (IANS) Karan Johar, who is remaking his father Yash Johar's production "Agneepath", says it's his dream to make it a commercial hit this time around. "My decision to remake 'Agneepath' is purely an emotional one. And I am glad that I am as passionate about the film as my father was. I want to make this film again in memory of my father and I will make sure I get it right commercially," Karan told IANS at the ongoing Dubai International Film Festival, where he was invited for a panel discussion. "It was a film my father was most proud of. When we were making the film, we all believed it's a film that would redefine our company (Dharma Productions)...It was a commercial failure and it broke my father completely. I don't think he recovered from it ever," the filmmaker said. In the remake, Hrithik Roshan is playing the iconic Vijay Dinanath Chauhan, played by megastar Amitabh Bachchan in the original version. The role fetched Bachchan a National Award but the film tanked at the box office. 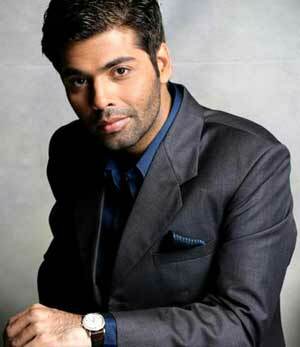 Karan Johar maintains that his sole aim is to attach the 'hit' tag to "Agneepath" this time. "We will never match the brilliance of Mukul Anand, we will never ever match the brilliance of Mr.Bachchan. We cannot compare to that kind of a genius combination. I hope we will come up with a film 'Agneepath' that at least will have a hit tag attached to it. It's my dream, my endeavour," Karan said.